The proximity of the Italian peninsula and the naval dominance of the Venetian Republic during the Middle Ages resulted in a perceptible Italian culinary influence along the Dalmatian coast, where fish soups are called brodet in Serbo-Croatian, from the Italian brodetto. But this recipe came to me by way of someone calling it in Serbo-Croatian, čorba, deriving not from the Italian, but the Turkish and Arabic words for “soup.” It’s a simple fish boil called riblja čorba na Dubrovaćki naćin, a soup from Dubrovnik which will be successful if you have a good mix of fish, at least four kinds, and a whole fish from which to make the broth. A good mix would be a whole striped bass, whole porgy (scup), and fillets from bluefish, cod, and salmon. You can ask the fishmonger to fillet the whole fish for you, keeping the heads, tails, and carcass for the broth. 1. Place the fish heads, tails, and carcasses (1 to 1 1/2 pounds all together) in a large pot and cover with 6 cups of the water. Bring to a boil over high heat, reduce the heat to medium and simmer for 1 hour. Strain the fish broth through a cheesecloth-lined strainer and set aside. You should have about 1 quart fish broth. 2. Pour the remaining 6 cups of water into a large pot and season with sea salt. Add the wine, tomato, parsley, oil, peppercorns, and bay leaf and bring to a rolling boil. Add the fish pieces to the boiling broth one at a time and boil furiously for 8 to 10 minutes. 3. Meanwhile, bring the reserved fish broth to a boil in a medium-size saucepan, add the rice, and cook until almost tender (times vary, so keep checking). Turn the heat off. 4. Put about 2 or 3 tablespoons of the cooked rice in each individual serving bowl using a slotted ladle. Ladle the fish with broth over the rice and serve. Business was good in the fourteenth-century Mediterranean and that meant towns got bigger. 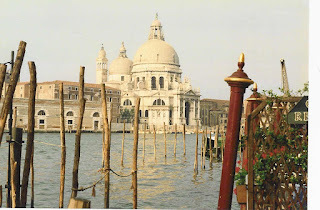 Venice was soon the most important city in the Mediterranean. Venetian ships were in the thick of it, and their agents were located in both gateways to spices, silk, and other products of the East, name, Syria and Egypt. The success of the merchants of Venice depended on these gateways, Syria perhaps being the more important of the two, assisting in the growth of the ancient city of Aleppo, the terminus of a number of trade routes. The riches made from this trade with both Syria and Egypt was incredible because the demand was incredible. Venice did have manufactured products to trade, but in reality, it sacrificed all its valuable metal currency to meet the powerful demand for black pepper, spices, drugs, cotton, linens, and silk. The trade between Egypt and Venice, usually transshipped through Crete, was intense even in 1350. Crete was an entrepôt for spices from Beirut and Alexandria, too. As Venice grew richer, people flocked to the city and its territories, and had flocked perhaps for some time if we consider the purported origin of the name Venice: from veni etiam, come and come again. These were halcyon days for Venice in terms of trade, for Syria and Egypt were both part of the Mamluke governance, a Muslim Egyptian dynasty, at this time and the historical turning point of the Ottoman victories of 1516-17 had not yet occurred, “so Venice slept the sleep of the rich,” as French historian Fernand Braudel put it. Today, Venetian cuisine seems to have passed by its love of spices and most dishes eschew them. But spices or not, no one will forget a proper Venetian risotto, a dish that likely evolved from a rice soup. In Italy, a person who laughed easily was said to have eaten rice soup, a play on words: che aveva mangiato la minestra di riso (he had eaten laughter/rice soup). 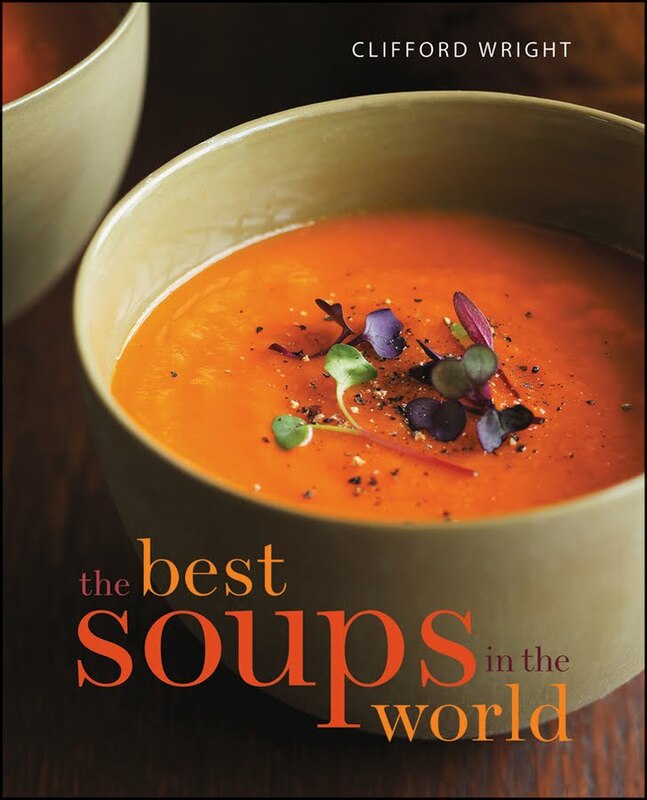 THE BEST SOUPS IN THE WORLD is coming in December. Order Now! Ṭawājin, the plural of ṭājin or tagine, are a category of Moroccan-style dry stews similar to what the French call etouffée (which actually means “smothered”) or etuvé, a slow braise with very little liquid. A ṭājin is also the name of the shallow handle-less earthenware cooking vessel with its cone-shaped earthenware cover in which the eponymous preparation is made. The Arabic word ṭājin derives from the Greek teganon, meaning a frying pan. Among the tagines are several variations: qidras are tagines made with samna (clarified butter) or fresh butter cooked in an earthenware marmite with lots of chopped onions until they are a purée. The seasoning might include black pepper and saffron. Dishes cooked in olive oil can be known as miqlāya or muqawly. A tagine can be made with a variety of ingredients. The Berbers make tagines also, such as tqellia, made with tripe; lmorozia, made with meat and eaten with honey; nnhorfez, made with turnips cooked in oil; bestila, chicken cooked with saffron; and gobber dahro, made with carrots cooked in water and prepared with flour. Rafih Benjelloun, a Moroccan-American chef from Atlanta, tells me that tagines are special preparations shared with neighbors in Morocco, a tradition that still persists. Khaled Lattif, who is from Casablanca, told me that a tagine is best when covered and cooked over very low heat for many hours without ever peeking under the cover. The tagines called qamama are said to be those made with lamb and onions. Qamama is an old Arabic word used in the Thousand and One Nights to mean a particular kind of lamb preparation. A man brought a lamb to be butchered and had given it to a naqib (an honorific title). He cooked it by making qamama, which seems to be a process of wrapping the lamb, or perhaps it meant to smother the lamb. In any case, the method was also known in medieval Arab Andalusia because the Morocco-based historian al-Maqqarī ( c. 1591-1632) describes this lamb dish in Córdoba. (Although al-Maqqarī was writing in the seventeenth century, scholars generally recognize him as being reliable for details of the earlier period of Islamic Spain). This recipe is typical of the rich tagines that would be served as part of a banquet and, as in all of the Arab world, would traditionally be eaten with small morsels of bread to convey the food to the mouth. The enormous amount of sugar in the recipe harks back to a medieval time when sugar was thought of as a spice. 1. Place the lamb in a tagine, enameled cast-iron casserole, Dutch oven, or earthenware casserole with a cover along with the olive oil, onions, garlic, ginger, ¼ teaspoon of the cinnamon, 2 tablespoons of the sugar, the saffron, salt, pepper, and water. Toss so all the pieces of meat are coated, then bring to a boil on a burner over medium-high heat, using a heat diffuser if using an earthenware casserole or tagine. Reduce the heat to low, partially cover, and simmer until the meat is tender, about 2 hours. Remove the meat from the sauce and set aside. 2. Increase the heat to medium-low, add the raisins to the casserole and continue cooking until the sauce is thick and unctuous, about 45 minutes. Tilt the casserole and spoon out any fat that has collected. Remove the sauce from the casserole to a measuring cup or mixing bowl. 3. Preheat the oven to 325 degrees F.
4. Return the meat to the casserole and arrange on the bottom. Cover with the sauce, sprinkle with the remaining 6 tablespoons sugar and ¼ teaspoon cinnamon. Place in the oven until the lamb is falling off the bone and very tender, about 1 hour. Serve hot.